Amazingly, this will be the first football game between these two storied programs. 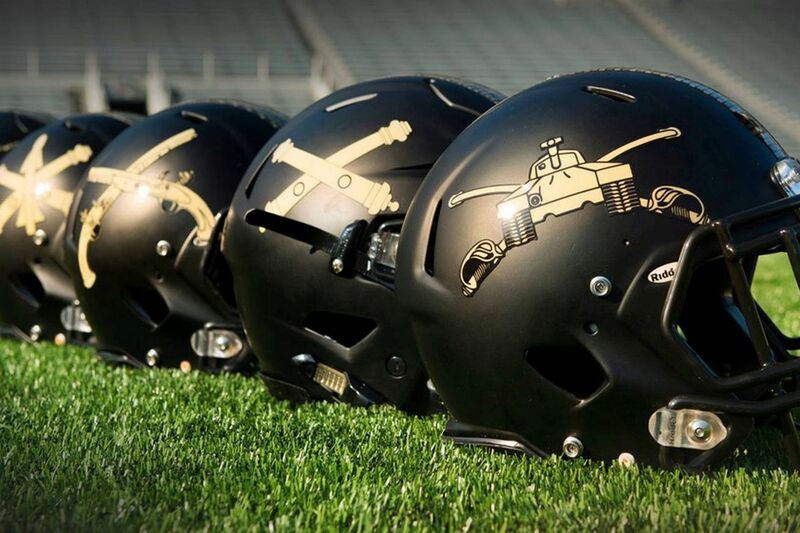 The glory days of Army football were between 1944 and 1950. During that time, the team was known as the Cadets and went 57–3–4. Army won three straight national titles (1944, 1945 and 1946) under the guidance of Earl Blaik. Army is currently playing as an Independent. Since 1890, the Black Knights have only played seven seasons as a member of a conference (Conference USA 1998-2004). Doc Blanchard (1945), Glenn Davis (1946) and Pete Dawkins (1958) are Army's three Heisman winners. Over the years, the program has only played in six bowl games and has won four of them. Army has a great history, but has not been a national title contender in many years decades. A win over Ohio State would propel the Black Knights back into the national spotlight, but that will not happen. This year, head coach Jeff Monken must replace his two leading tacklers on defense and his leading receiver on offense. His roster is littered with three and two star players, with the majority being of the two star variety. The only thing that could keep this game from getting too ugly is Urban Meyer's respect for the men and women who serve our military. This will be the first meeting between Ohio State and Army on the gridiron. However, the Buckeyes are 5–1 against the Service Academies (Air Force and Navy). The lone loss was to Air Force in the 1990 Liberty Bowl. Ohio State played an Armed Forces team was 2014. Urban Meyer's third team defeated Navy 34-17 to open the season. The Buckeyes went on to win the national title. OSU hosted a service academy team was 2009. Jim Tressel's sixth-ranked Scarlet & Gray team defeated Navy 31-27. The Buckeyes played on the road on September 16 was...never. Ohio State played a Week 3 home game was 2015. The No. 1 Buckeyes edged Northern Illinois 20-13. The Buckeyes lost a Week 3 home game was 1990. No. 18 USC defeated No. 15 Ohio State 35-26 in a game shortened by lightning. Ohio State played an Armed Forces team in Week 3 was...never. Coaching Status: Jeff Monken (14–23) 4th season. Edgar Poe led the team with 336 receiving yards and 3 touchdowns. Jeremy Timpf and Andrew King were first and second on the team in tackling. Timpf was the leading tackler with 112 and King had 96. This is the seventh time the Buckeyes have played on September 16th. No. 1 Ohio State defeated Cincinnati 37-7 in Ohio Stadium the last time the program played on this date. The last loss on September 16 was 1978. No. 5 Penn State defeated the No. 6 Buckeyes 19-0. That is OSU's only loss on this date. Ohio State is 88–30–9 in game 3 and is 60–15–4 when playing game 3 at home. In 1987, No. 4 LSU was the last third game opponent to tie the Buckeyes. The battle ended in a 13-13 in Baton Rouge. Illinois (1963) was the last team to get a tie against OSU in game 3 in Columbus. Ohio State has won five-straight third games. The last loss in the third game was to Miami. The unranked Hurricanes defeated No. 17 Ohio State 24-6 in 2011. The most points scored by the Buckeyes in the third game was 80 against Marietta in 1892. The most points scored by an opponent was 41 by Illinois in their 41-20 win over No. 3 Ohio State in Columbus in 1953. Ohio State has kept 31 opponents scoreless in game 3. The last game 3 shutout was against Kent State in 2014.